Ikebukuro is a large commercial district north of Shinjuku and west of Ueno. Ikebukuro serves as a major commuter hub and has multiple stations belonging to several railway companies(more info in the Access section). 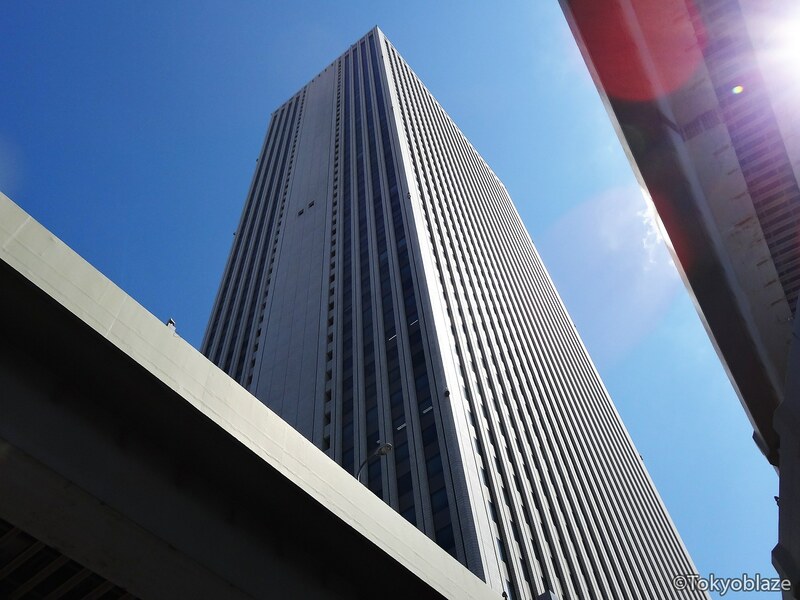 There are three department stores; Seibu(西武), Tobu(東武), and Parco(パルコ) that basically sit on top of the commuter hub. 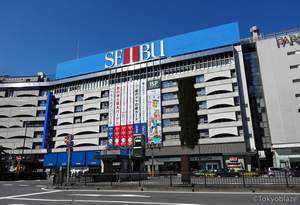 Ikebukuro is home to Bic Camera; an electronics retailer which operates several stores in the area. 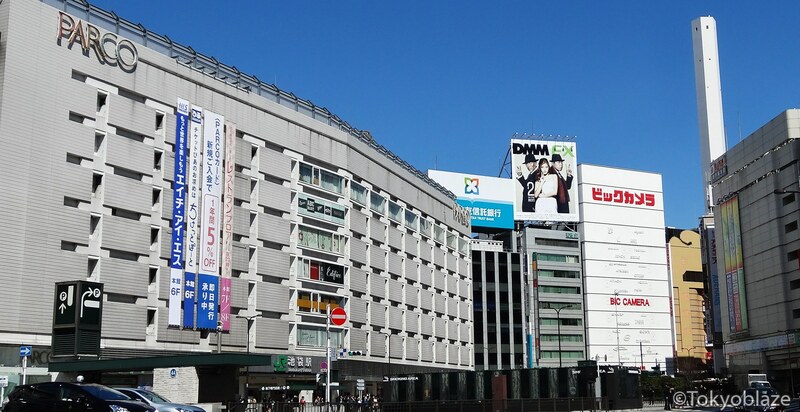 A rival retailer, Yamada Denki also has two stores in the area, both of them just a block away from Bic Camera stores. To the west of the station is a skyscraper called Sunshine 60, and a large shopping complex called Sunshine City. Sunshine City, as well as the street leading to it is popular amongst young people as it is filled with many apparel stores, game centers and affordable restaurants. Recently, many Chinese immigrants have settled in the north of Ikebukuro, and is now sometimes referred to as, “Ikebukuro Chinatown“. 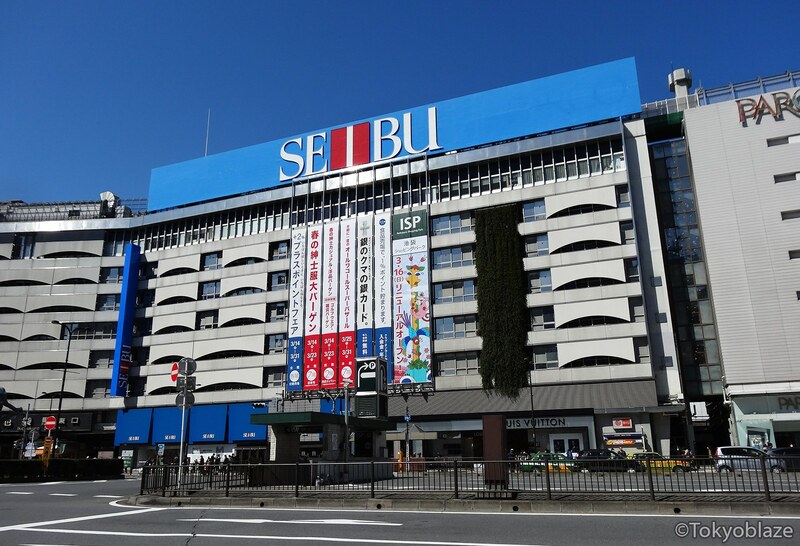 Seibu department store in Ikebukuro. To the right is the department store, Parco. Access to Ikebukuro is easy as many railway lines stop here. The Seibu and Tobu Lines stretch out of the metropolitan area into the suburbs outside central Tokyo. The station for the Yurakucho Line and the Fukutoshin Line share the same platform, but are a little far from all the other “Ikebukuro” stations. Travel Tip : Just follow the signs for the line/railway company you want to use and you will get there.